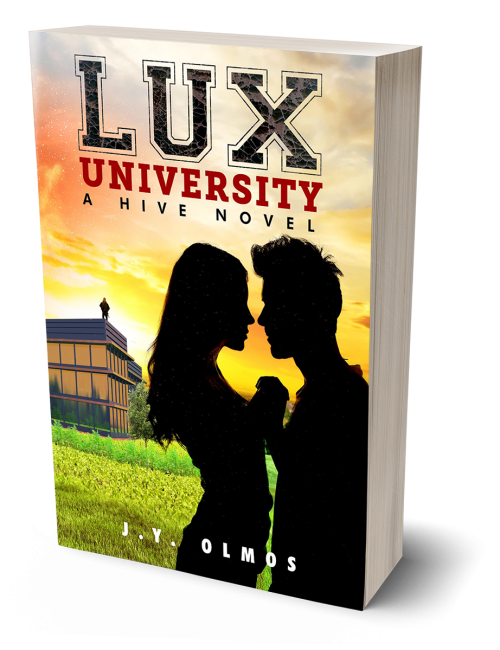 Lux University is a coming-of-age story, touching on the trials and tribulations of navigating adolescence. It takes readers to another planet and a school for young women with exceptional powers, while exploring life two years after an alien invasion stripped them from Earth. Sixteen-year-old Alisa journeys into adulthood in a galaxy where minds can be read, a few animals speak and challenges to the death are expected. At the age of fifteen, all human girls are given a serum that will allow them to become functioning members of Lux society. Alisa has a problem: it has been a year and she has yet to develop Matriarch powers. Without those powers, Alisa doubts that even the most powerful Matriarch on the planet, her mother, can keep her from being sold into slavery. A local warrior, Jensen, is struggling to make a name for himself. His mother is a powerful ruler, and his older brother is the famous Commander Kalerant who, along with his human Matriarch, lead the mission to rescue the young females. Jensen believes his brother went too far by inviting the humans to live on Lux, his ancestral home and his birthright. Mitch is a healer from Ghent and a recent graduate of the Science Academy. He also happens to be the nephew of one of the most prominent healers in the galaxy. Mitch fully expects to take his place among the greatest of all time, and he’s well on his way, when disaster strikes Lux moon. Against his wishes, Mitch is told to accompany a Guild member to Lux to determine the moon’s stability. Alisa and Jensen are trapped below ground while Mitch works with the rescue teams above. This ordeal teaches them that prejudice is not one sided, betrayal is not absolute, love is more than a chemical reaction, and a first kiss is impossible to forget. 5 out of 5 stars! Wonderful story! A very fun read and nice addition to The Hive trilogy.